China is setting up a national cancer registry to fully understand the extent of the disease in the country and to help improve cancer prevention policies. Chen Wanqing, deputy director of the national cancer registry center, under the Ministry of Health, said so far the government-funded project has set up more than 220 surveillance sites across the mainland, covering some 200 million people. The sites include health institutions, specialized cancer hospitals, research institutions, and public health institutions, he said. "Accurate cancer registration and monitoring is crucial for effective cancer prevention and control. This new system will involve the gathering of all kinds of cancer-related information," he told China Daily. He called the new registry a long-term and systematic collection of data about cancer and tumor diseases, which will gather information on diagnostic findings, patient history, treatment progress and the status of cancer patients nationwide. 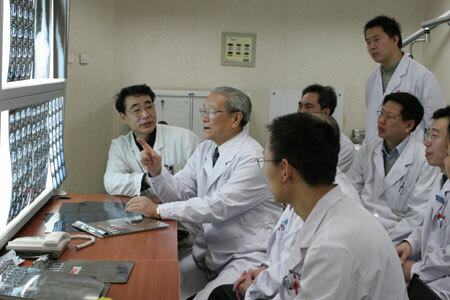 Qiao Youlin, vice-chairman of the expert board for early detection and treatment of cancers at the Ministry of Health, said the system will be able to gauge cancer trends and patterns from which it will be possible to better allocate resources, improve research and evaluate and improve cancer control programs. But he added that the project will need the full support of all community-level medical service providers to work. "Data collected at the grassroots levels represents the most accurate picture of the extent of the disease in China," Qiao noted. Those currently on the registry are mainly those who hold a hukou (residence permit), but information on the large migrant population is missing, Chen added. "It's hard to ensure the quality of the data, particularly in rural and run-down areas," he said. Due to the sheer size of the population, Chen said, it would be hard for the registry to ensure coverage of every area. "But we can still make a reasonably accurate calculation of the extent of the disease across the country, through quality coverage of regional data," he added. Various European countries already have national cancer registries, which have managed to gather reliable findings on total cancer numbers. In the United States, national cancer information is practically guaranteed through the Cancer Registries Amendment Act, which requires all institutions to register the information. Chen urged medical institutions across China to support the new initiative by reporting cancer cases and any related data to the registry. According to the Ministry of Health, there are 2.8 million new cancer cases on the Chinese mainland each year and the number is expected to reach 3.8 million within the next decade. "Cancer has been on the rise, both in terms of incidence and death rate, over the past 20 years," said Chen. He said that there are also changing patterns in those numbers. Previously, Chinese were more susceptible to those so-called "poor cancers", such as liver, stomach, and esophagus cancers, according to data so far from the registry. But as the country's wealth has continued to grow, there are increasing cases of what people call "rich cancers", like lung, breast, and colorectal cancers, he added.